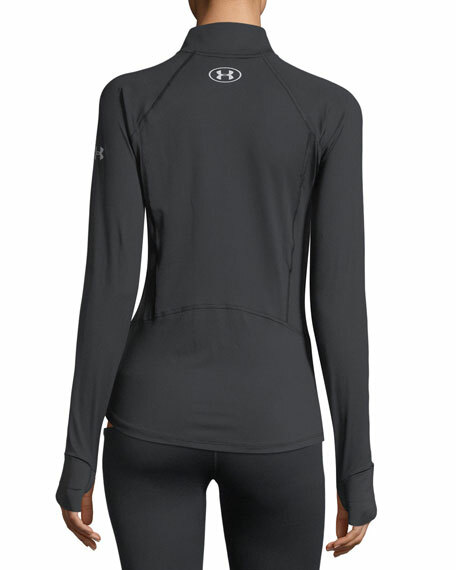 Under Armour "Run True" performance top in lightweight, stretch-knit fabric. 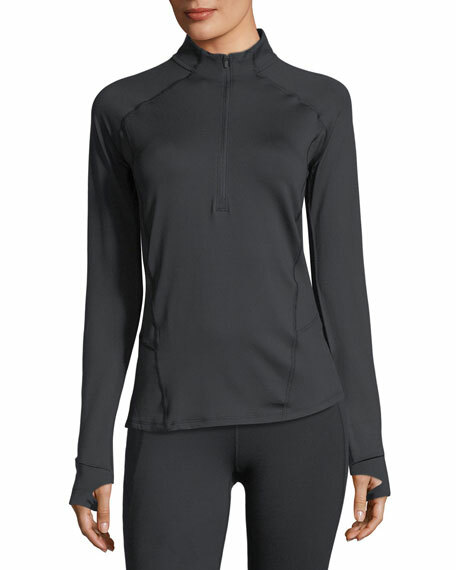 Moisture wicking, quick drying, & anti-odor technology. Stand collar; 1/2 zipper with garage. Shaped hem for added coverage. For in-store inquiries, use sku #2336180.